As I am sure you are aware it is a legal requirement for all public buildings to offer equal access to any floor for anyone with impaired mobility, but it is also important to find a perfect, safe and reliable solution that allows you to satisfy this requirement without disrupting your building. With constant enhancements to the wide range of solutions available, here at HC Alto we have a carefully selected choice of modern sleek platform lift designs that would complement any building whether this is a residential or commercial environment to your exacting needs. Some of the latest Scenic platform lift designs with glass supporting structures and glass walled cars can provide any designer with the perfect solution for any building internally or externally. Whether you are looking for a simply low cost solution to simply satisfy your basic requirements under building regulations or something far more comprehensive that would complement any project we will be able to manage your expectations at every level from start to finish. Enclosed platforms that look to the non-trained eye like a full passenger lift in every way apart from the speed it travels are becoming a very popular solution. With automatic stainless steel doors and fashionable modern interiors these solutions can offer so much. With minimum or no pit and virtually no headroom required the flexibility that these platform lifts can offer is endless particularly when they fall under “Machine Directives”. 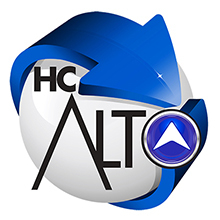 Please get in contact with your ideas and let the team at HC Alto identify the best cost effective solution. Existing clients are always the best to turn to when considering our services and we are proud to offer access should any references be required or you would like to see a recent installation near you.